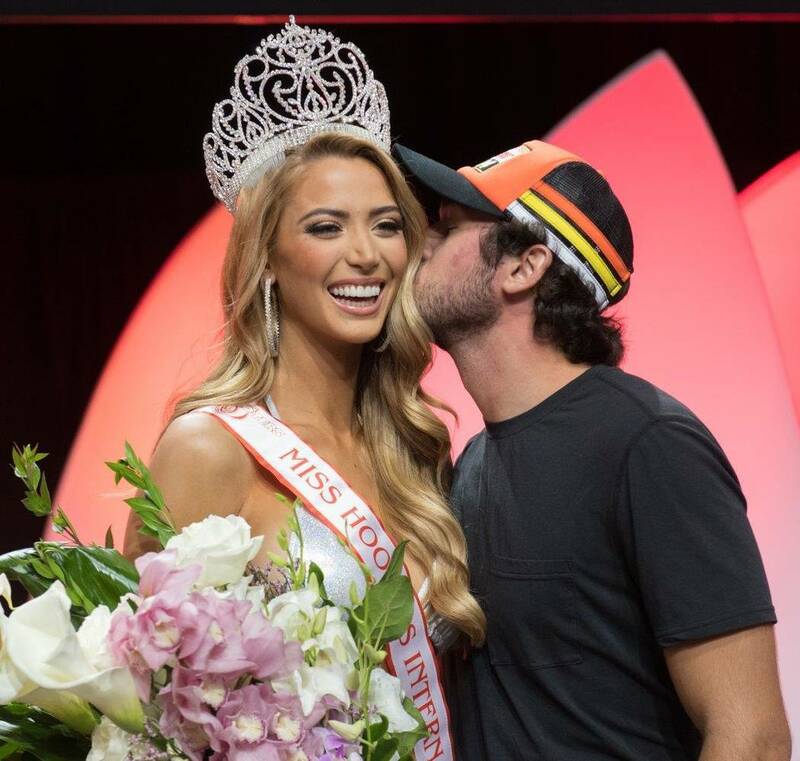 Hollywood Hooters Girl, Chelsea Morgensen, claimed top honor Wednesday night at the 21st Annual Hooters International Swimsuit Pageant held at the Palms Casino Resort in Las Vegas, taking home the exclusive 2017 Miss Hooters International title. Chelsea was selected from a field of 80 of the most exceptional Hooters Girls from across the U.S. and around the world. After a stunning display and camaraderie at the Palms’ Pearl Theater, Chelsea was honored with the coveted 2017 Miss Hooters International title and a new reign began. It’s no coincidence Chelsea hails from the city known for the stars who live there. Her passion for acting and modeling is remarkable, and her energy and positivity are contagious. No stranger to the stage, since 2010 the 22-year-old has owned multiple pageant spotlights. Her biggest accolades to date include winning Miss Texas Teen USA 2010 and the People’s Choice Award for Miss Teen USA Most Photogenic. An ambitious rising star, Chelsea scoops a $30,000 cash prize and becomes the newest face of the iconic Hooters brand. Her brand ambassador responsibilities include contributing to Hooters marketing initiatives and special events throughout the year, as well as leading the Hooters Number 24 Crew in cheering on NASCAR’s No. 24 Chevrolet SS driver Chase Elliott. A six-person panel of judges included Lynn Austin, the original Hooters Girl; Miesha Tate, former UFC Women's Bantamweight Champion; Brittany Oldehoff, Miss USA 2014 fourth runner-up and top fashion and swimsuit model; Steve Covino, host of Covino & Rich on Sirius XM; Bonnie-Jill Laflin, first and only female NBA scout and former NFL cheerleader; and Chase Elliott, NASCAR’s No. 24 Chevrolet SS driver and special surprise celebrity guest for the event. The top five Hooters Girl finalists are first runner up, Amberly Hall, Hooters of Fort Lauderdale, Florida; second runner up, Amanda Olson, Hooters of Riverside, California; third runner up, Rachel Swartz, Hooters of Chantilly, Virginia; and fourth runner up, Jorra Stewart, Hooters of Daytona Beach, Florida. Rounding out the top 10 in alphabetical order are, Laiken Baumgartner, Hooters of Douglasville, Georgia; Hailey Slobodzian, Hooters of South Fort Myers, Florida; Amanda Steinbecker, Hooters of St. Louis, Missouri, and Jennifer Koenig, Hooters of Tuscon, Arizona. Additional awards went to Hika Nakazawa, Hooters of Tokyo, Japan, who was voted Miss World; Dominique Sum, Hooters of Long Beach, California, who was voted Miss Photogenic; Aki Li, Hooters of Shanghai, China, who was voted Miss Congeniality; and Hailey Slobodzian, Hooters of South Fort Myers, Florida, who was voted Miss Fan Favorite. Earlier in the week on Monday, July 10 the Palms vibrant poolside was the scene of the sixth annual Hooters World Wing Eating Championship, an officially sanctioned Major League Eating event. The number five professional eater in the world, Geoffrey Esper, claimed the coveted 2017 Hooters World Wing Eating Champion title by devouring a record-breaking 250 world-famous Hooters chicken wings in 10 minutes. The championship events also celebrated Hooters latest craveable wing innovation: Smoked Wings, now available in participating locations across America. Hooters Smoked Wings are marinated overnight with a dry rub before being hickory smoked in-house, with Hooters oven smokers. Guests can then opt to enhance their wings with several dry rub flavors or sauce them with any of Hooters signature sauces, including teriyaki-style samurai, lemon pepper and chipotle honey. For more information about the Hooters International Swimsuit Pageant, visit hooters.com/pageant. Hooters fans can also enjoy ongoing content by visiting Hooters on Instagram, Twitter and Facebook. To learn more about the Hooters World Wing Eating Championship visit www.majorleagueeating.com. To learn more about Hooters Smoked Wings and National Smoked Chicken Wing Day, visit hooters.com/nscwd.